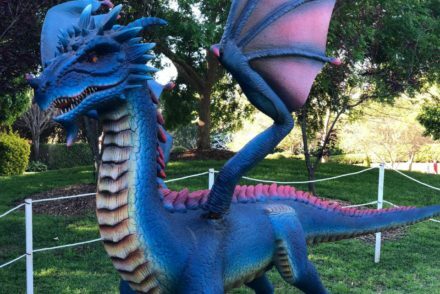 We came face to face with creepy crawlies, dragons and roaring dinosaurs at the Hunter Valley Gardens! 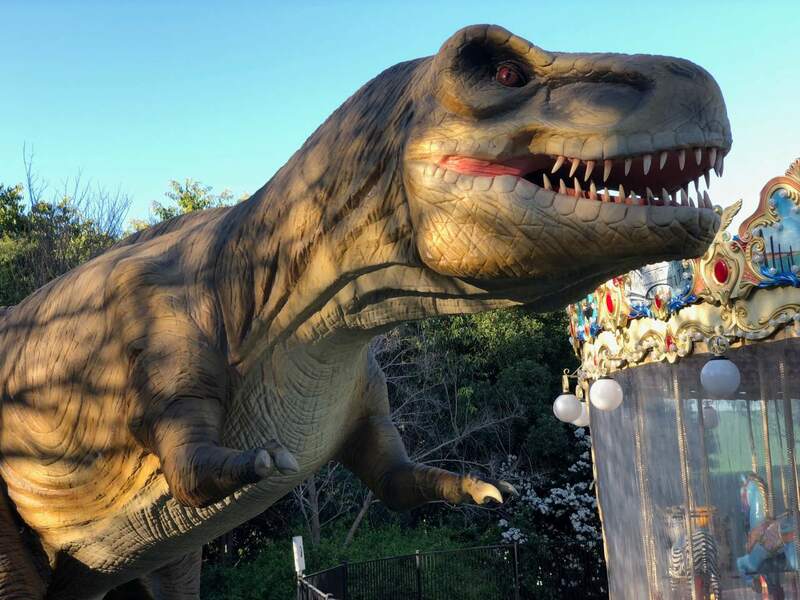 There was a towering tarantula with rotating eyeballs, a teeth-gnashing velociraptor, winged dragons preparing for flight, and an eight-metre-long T-rex that roared on our approach. 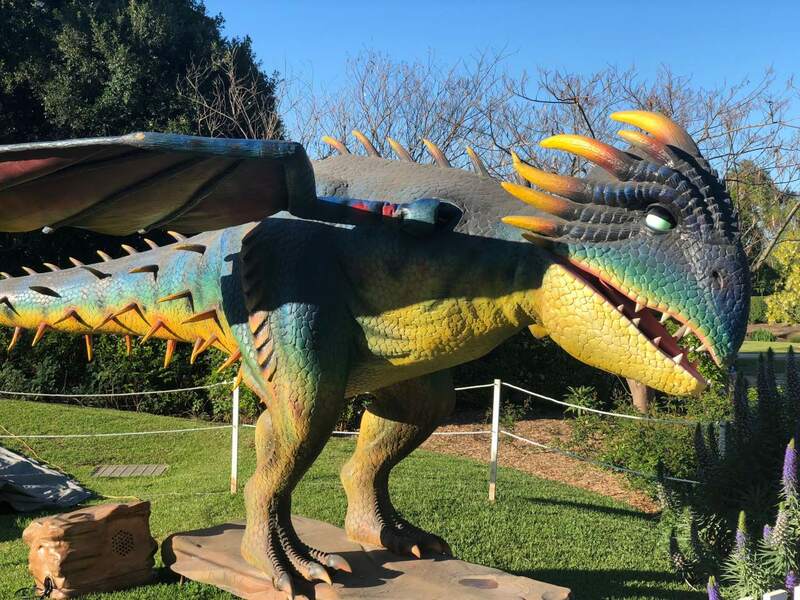 The 14 animatronic dinosaurs, creepy crawlies and fantastical dragons are part of the Mega Creatures Autumn School Holiday display. They’re only around until April 28, so you’ve got to get there quick to see them. 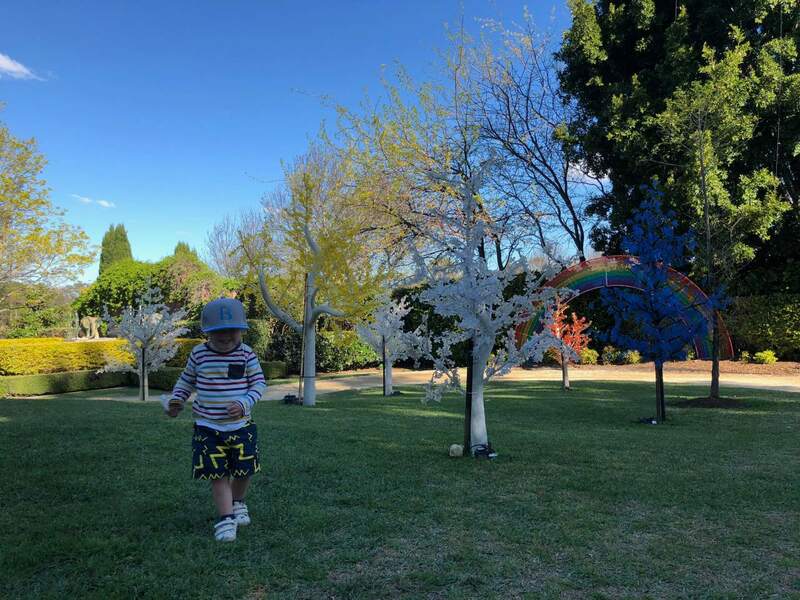 We love visiting the Hunter Valley Garden’s school holiday exhibits – from their winter Snow festival to their Christmas lights display – but most of the time we’re so busy enjoying their festivals that we don’t have a lot of time to enjoy the gardens themselves. 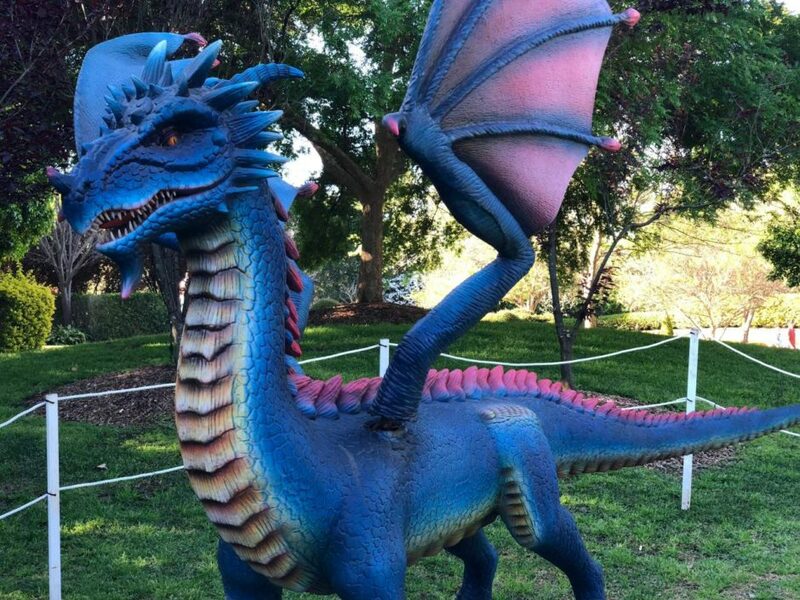 The Mega Creatures exhibit, though, offered us the perfect opportunity to wander the Gardens, as the creatures are scattered throughout the grounds. 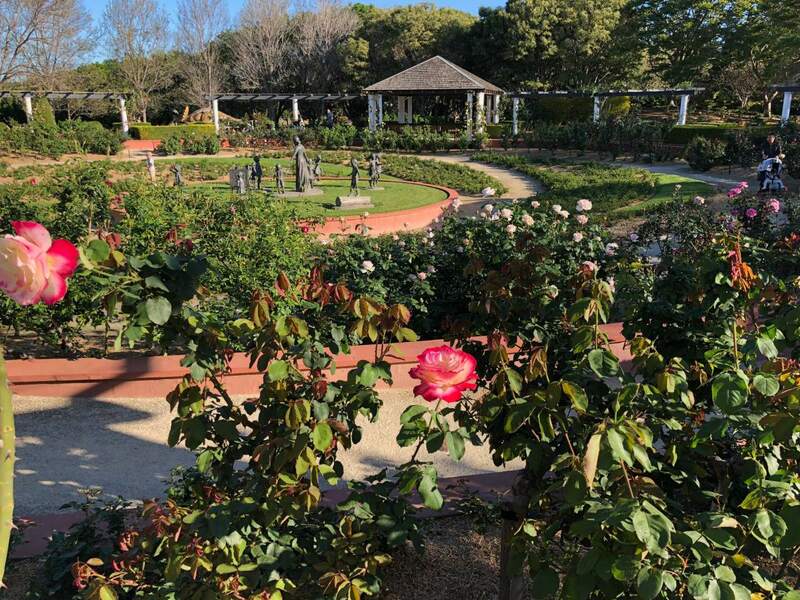 There are eight kilometres of walking paths winding through 14 hectares of gardens. 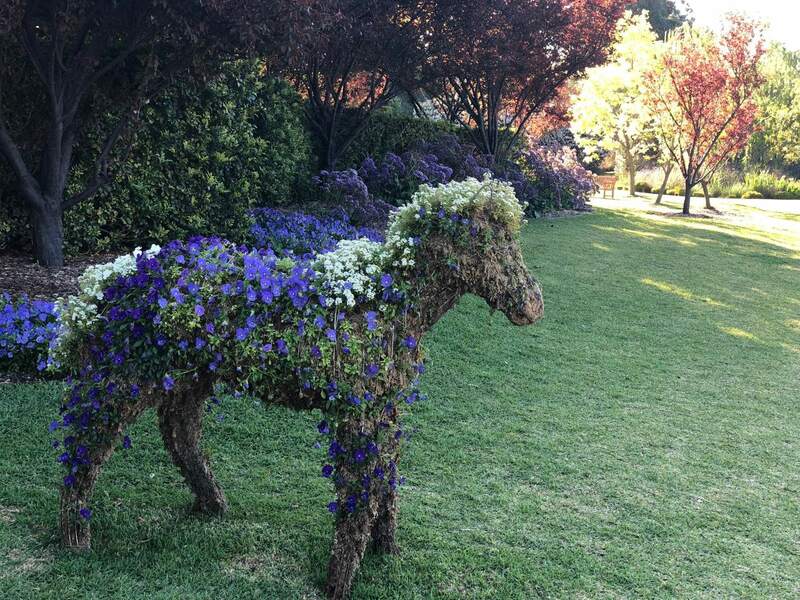 It’s so beautiful and so relaxing – yep, even with the kids! You can easily spend an entire day here just soaking up the sunshine. 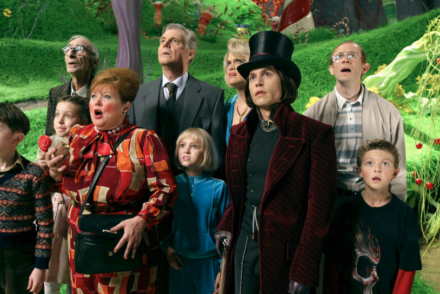 Upon entry, all children are given a map of the Gardens and a list of the creatures they need to spot. 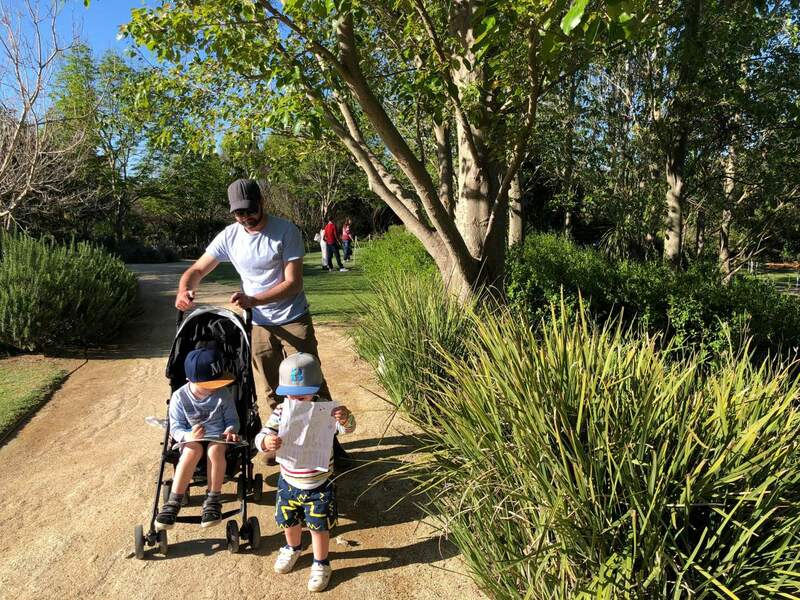 If you have a child who loves a scavenger hunt (as we do), they’ll absolutely love exploring the gardens, searching out creatures and diligently ticking each animal off the list as they’re sighted. Find the egg for free tickets! 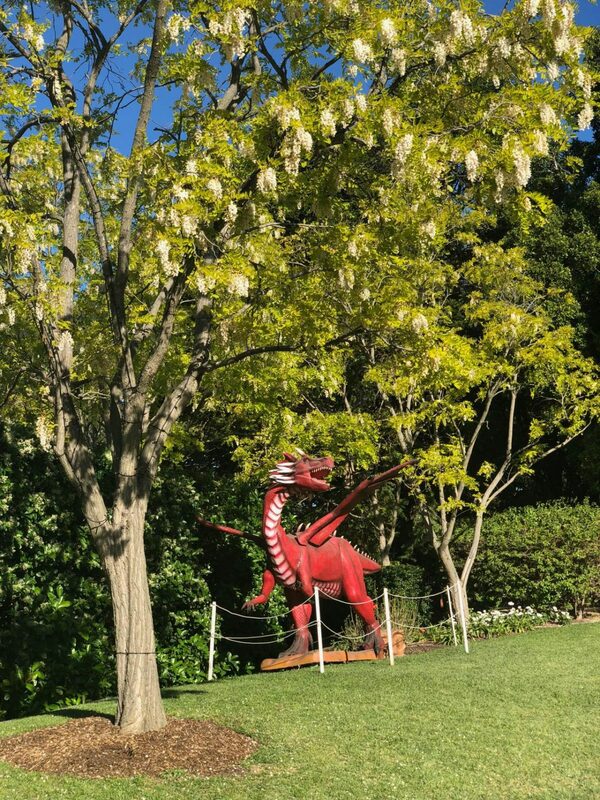 To add further incentive to the scavenger hunt, each day a large dinosaur egg is hidden in the grounds. Find it and you’ll score yourself a free ticket to the Hunter Valley Gardens’ Snow Time event (see Playing in Puddles’ review of this event here). Wondering if your child might freak at the creepy crawlies? 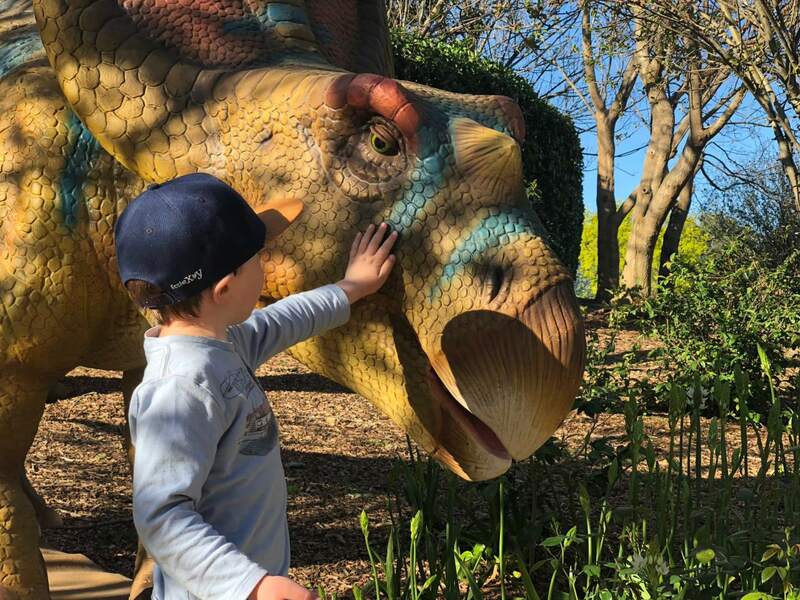 Our four year old absolutely loved it and while our two year old kept his distance from the dinosaurs at the start he grew braver throughout the afternoon. This year, for the first time ever, the Gardens are inviting kids to become palaeontologists and dig for dinosaur fossils in their three excavation pits! 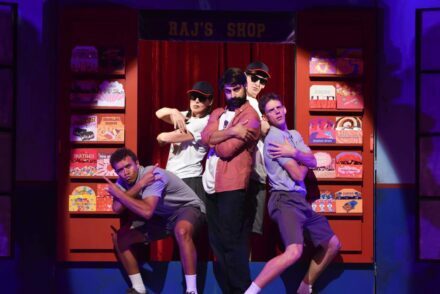 They also have a NEW live stage show – The DinoMights. 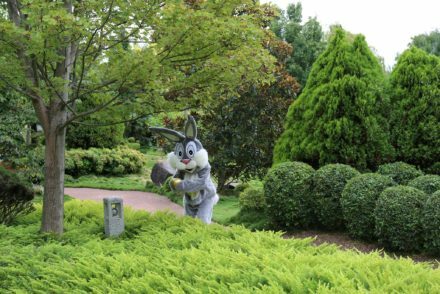 During the Easter weekend (Saturday and Sunday only), you can partake in our region’s largest Easter egg hunt at the Hunter Valley Gardens. 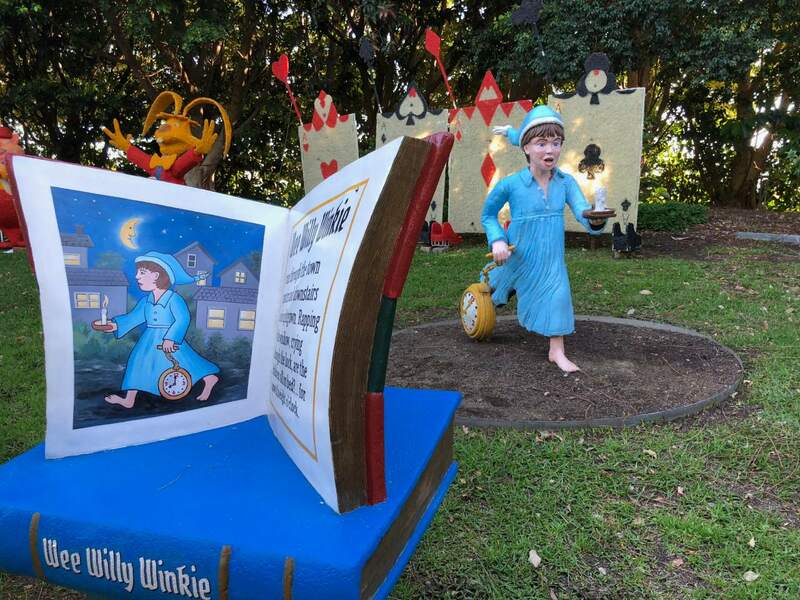 Kids can also join in gingerbread decorating workshops, get crafty in the Easter Hat Parade and join in the search for the Golden Egg (find it to win an annual family pass to the Hunter Valley Gardens). 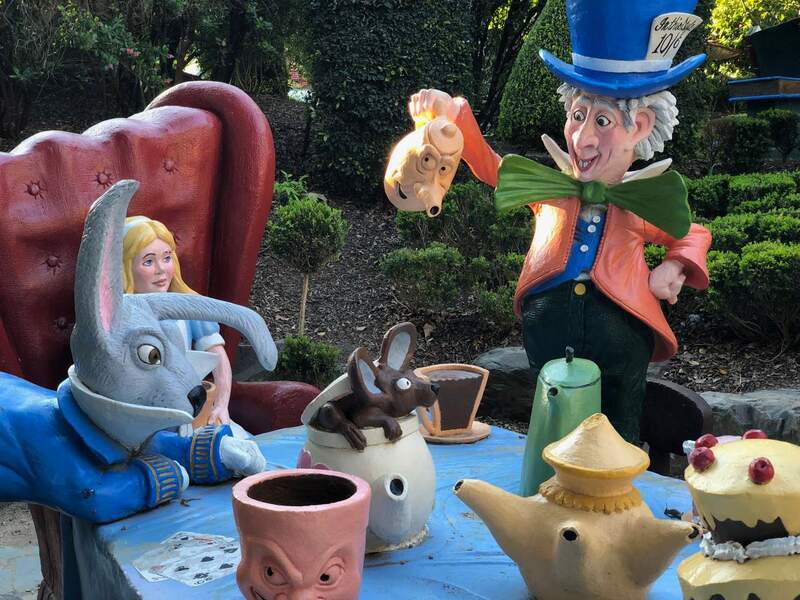 As well as the cute Storybook Garden, the Gardens boast a 35-metre long, 12-metre high super slide, a Venetian carousel, a giant swing chair, and a ferris wheel. 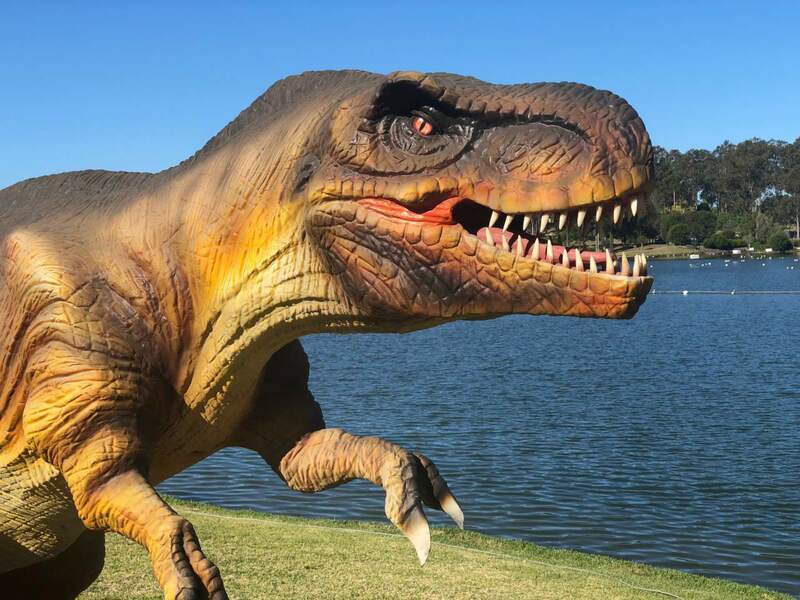 Whether you’re a dino fan, adventurer, sun seeker or nature lover, you’re guaranteed a splendid day out at Mega Creatures these school holidays. Get there. When: 13-28 April 2019 (including Monday of the long weekend). 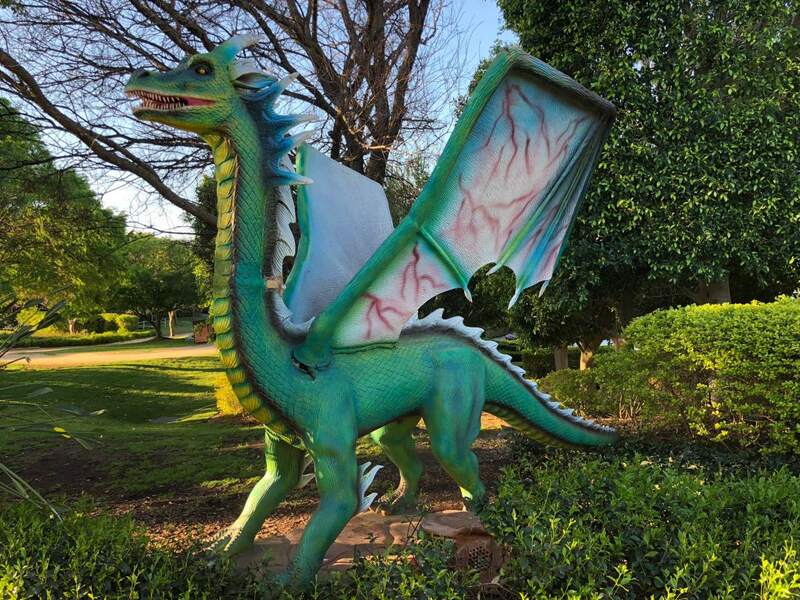 The gardens are open 9am-5pm; the Mega Creatures and rides operate 10am-4pm. Easter activities on Saturday 20 and Sunday 21st April. Entry costs: Adult (16yrs+) $30; Child (4-15 yrs) $20; Child under 4 free; Family Pass (2 Adults + 1 Child) $70; Family Pass (2 Adults + 2 Children) $85. See website for more options. Ride costs: Tokens for individual rides are $6 each; unlimited rides wristbands are $15 pp. 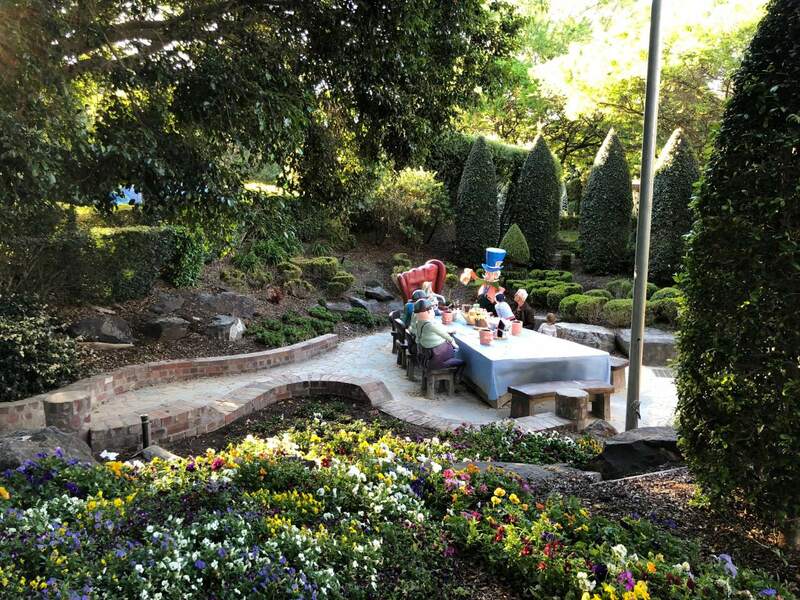 Where: The Hunter Valley Gardens, 2090 Broke Road, Pokolbin. Tip: Look out for the hidden dinosaur egg. Want to know what else is on these holidays? Click here for our line up of the Central Coast’s best kids workshops and free festivals this April. 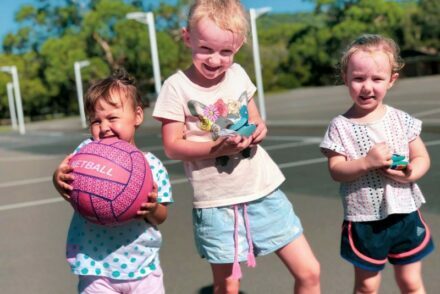 Net Mini’s – a NEW toddler netball program has launched! Be the first to hear about upcoming events, fun activities and new businesses on the Coast for you and your kids. Be the first to hear about upcoming events, fun activities and new businesses on the Central Coast for you and your kids. + we hold competitions exclusive to our subscribers.